Rendering of the bridge expected to be completed as part of phase one construction of the American Center for Mobility's autonomous vehicle test track. Autonomous driving is more than just the cars. 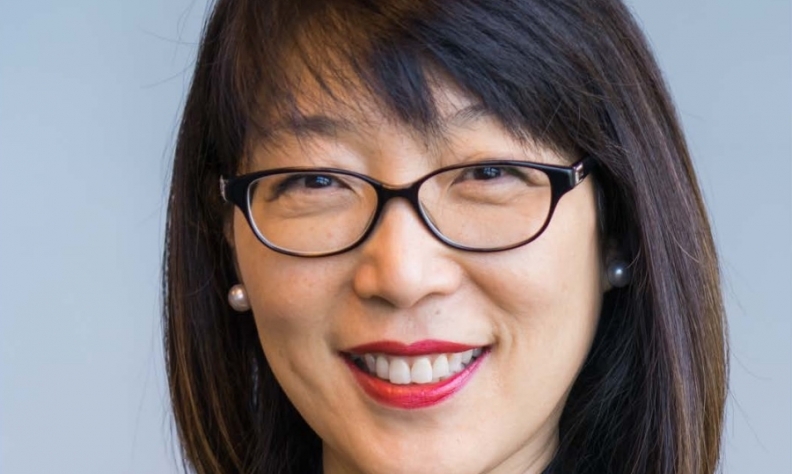 The technologies in vehicles and infrastructure must be tested and validated, and that’s the focus of the American Center for Mobility being built in Ypsilanti, Mich.
Soraya Kim, who is Canadian raised and educated, is its chief innovation officer, currently focusing on funding and investment to build the 500-plus-acre (200-plus hectares) facility, about 40 kilometres west of Detroit. Her other project is to educate the workforce — those who will work with autonomous vehicles, and those who will be displaced by them — and what training both sides will need, now and in the future. The first phase is under way. “We started construction in May on the highway-speed loop, which will open in December,” Kim said. “We will be building a technology park to house companies and build an ecosystem for this mobility space. A memorandum of understanding between Ontario and Michigan calls for sharing of technology for autonomous, connected and electric vehicles. Born in Seoul, Kim moved to Canada and graduated from the University of Toronto. She practised corporate law in Toronto before working with General Motors in Michigan as it separated from Delphi. From there, she focused on identifying and validating new automotive technologies for the University of Texas in Austin. Soraya Kim guides development of an autonomous-vehicle testing site near Detroit. Kim was hired at the centre when she was introduced to CEO John Maddox. The centre is currently a start-up but it’s backed by several organizations, including the State of Michigan and its Department of Transportation, and has US $65 million in funding to begin building the test facility. Kim plans to focus on any university working on mobility, including those in Canada, and wants to make the centre available for testing and as a showcase to help commercialize the technology. “We want to create a facility for safe and repeatable testing before [these cars] are deployed on public roads,” she said. “Currently there are proving grounds, but we’re building urban environments, highway speeds, rural environments, off-road, or when you go out on Saturday to Costco.